This review is a follow up from my blog post “Why Learn Another Language – Joy to Connect” where I address the Joy to connect with other people through a common language, my personal experience with teaching and learning foreign languages, and my advice on how to learn a language online, at home or on the move. 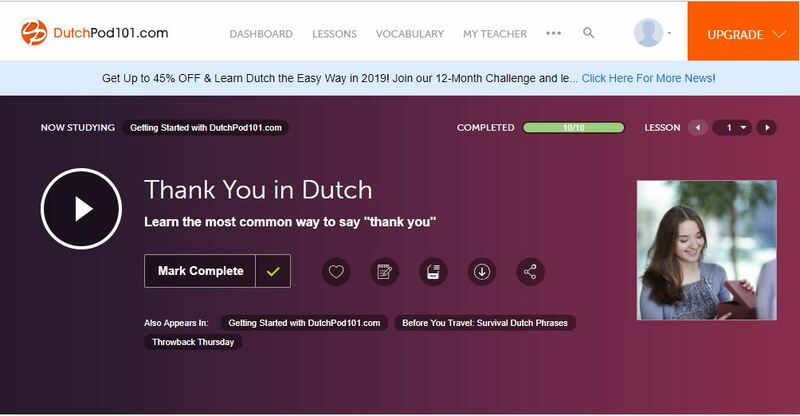 In this review, you will find more practical information about one of the programs I have personally used and recommend to learn a language online, fast and easily: DutchPod101. You will also find practical information about the other 34 languages offered by the company behind DutchPod 101: Innovative Language. Because a picture is worth a 1000 words, I’m also going to share a few screen shots with you. What Do I Mean by Fast and Easily? Which Other Languages Are Available? Is This Really Free? And What Do You Get? For more details about my general background and experience with language teaching and learning, please read my previous post “Why Learn Another Language – Joy to Connect“. Here, I shall only repeat my personal experience with DutchPod101. About a year ago, I was accepted on a course to train as a professional electrician here in Belgium. The whole training was in Dutch, with native speakers. I had been living in Belgium for 13 years already, 9 of which in Flanders (the Dutch-speaking part of the country), but I had always been able to get by with French, English and some broken Dutch. With the challenge of my electricity course, I HAD to take my Dutch to another level, fast! So I did some research and signed up for the DutchPod101 program. What I LOVED about this program was the fact that it was addressing all the learning styles you can possibly address in an online course. They even give you access to a real person when you upgrade your membership! Nope, this is not the magic bullet where you fall asleep and are fluent the next day with no effort. You will have to put in time and effort into this… although there are ways to improve your learning speed should you want to and I shall write later posts about this. Here when I say “fast and easily”, I mean “in comparison with other programs” that do not offer the same learning platform. 34 languages!!! Look at the list below! Isn’t that amazing? Click here to access any of these languages. As a former language teacher myself, and very experienced with learning other languages, I find Innovative Language’s programs just mind-blowing! In addition to the quality of their programs, they offer so much for free! They offer even more if you choose to upgrade. When I signed up for free, they let me upgrade for $1 for one week so I could check out the rest of their products and services. This was one of the best-spent dollars of my LIFE! See how your business or school can benefit from Innovative Language programs. I have personally tested DutchPod101‘s free offer AND their upgrade offer for $1 and CONFIRM that this is the best move you could make to learn a language online. Whether you are just curious or really serious about it, give it a try! And tell me in the comment area below: Which language(s) do you speak? Which one(s) have you been wanting to learn? How long have you been waiting? Are you ready to go for it now? Thanks for the informative post about learning a language online! Much excited! Currently, I speak English, French, and my mother tongue making three languages altogether. Now, I’m planning to learn German. I really want to start speaking German as soon as I can. It’s been up to over 6 months now that I’ve been waiting to learn it and am fully ready to start learning so far I can get a good resource or avenue to go about it. I understand so much that the provided learning platform makes one learn a language fast and easily. Thanks for the passion! Kudos! Thank you for this amazing language app review. Learning a new language has a lot of advantages, I speak English fluently and I will like to learn a new language. I will check the listed apps and check which one best suite my preference. I love your experience with the Dutch 101 app.which app support German language learning best? I very much enjoy learning new languages. I’m not very good at it, lol, but I enjoy the journey! I’ve studied German, Spanish, and Japanese in the past. I’m very rusty now, and never approached any notion of fluency, but my Japanese was good enough to make my away around Tokyo (and beyond!) by myself. Thanks very much for alerting me to this program. I must check it out. Wouldn’t mind brushing up on my Spanish. Quick question: If you had to choose another language to learn, which one would you pick? This is great article with specific information about learning a language on line. I am interested to learn Chinese and Japanese language. 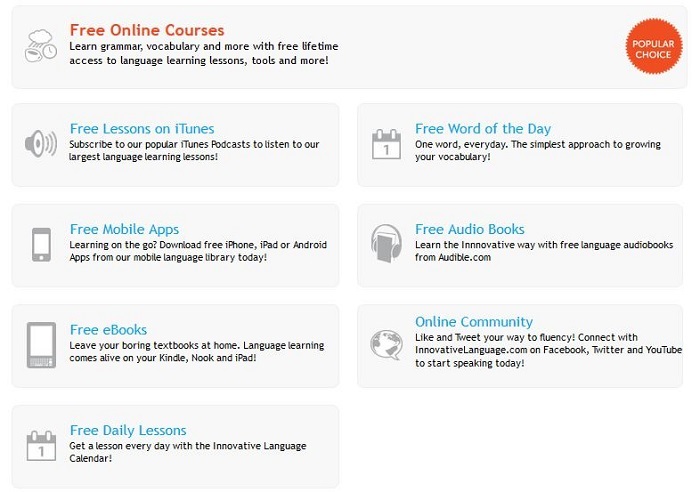 I understood that DutchPod101 is helpful for learning 34 languages fast and easily. I have to check availability of my interested two languages. I think pronunciation and accent is important factor for me. I believe DutchPod will help on this. Thanks for sharing this informative article. Yes, you can learn Chinese and Japanese with Innovative Language!! Enjoy! My pleasure, Charles! I’m glad you’ve found this helpful! In which foreign country have you been living? this is awesome. i love to learn about language technologies out there. I have the ukrainian russian rosetta stone out there. i haven’t used it in two weeks 🙁 They make it so easy to learn a language nowadays but we are still so lazy!!! This is cool. i’ll definitely check it out! I hope you enjoyed what you found when you looked up the Innovative Language website. I just went now and see that they added Ukrainian to their list! Awesome!